The Moscow Presnensky Court is handing down a guilty verdict in the Oboronservice case, in which the key defendant is former Defense Ministry official Yevgenia Vasilyeva, an Interfax correspondent has reported, citing a sentence handed down by Justice Tatyana Vasyuchenko. The court has found that Vasilyeva deceived and mislead former Russian defense minister Anatoly Serdyukov. Specifically, the judge said Vasilyeva had committed crimes "by deceit and abuse of the trust of the defense minister of the Russian Federation. Thus, the court has agreed with the position of the prosecutors, who said many times during the legal proceedings that the defendants' fraudulent actions had become possible due to the fact that the former defense minister was deceived. The reading of the sentence began in the district court on Wednesday. During the hearing of arguments, the prosecutors asked the court to give Yevgenia Vasilyeva and the others implicated in the case (Irina Yegorova, Maxim Zakutailo, Yury Grekhnev and Larisa Yegorina) suspended sentences ranging from four to eight years in prison. The defendants and their lawyers asked the court to acquit them. 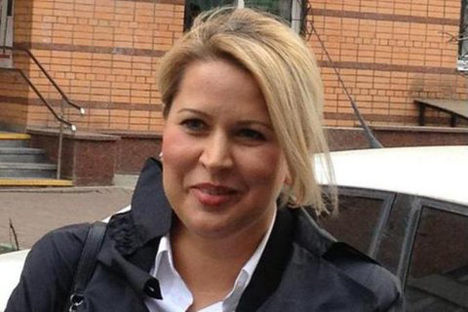 Vasilyeva is charged with twelve counts of crime. The total damage done by those crimes is estimated at over three billion rubles. Vasilyeva denies her guilt. According to the indictment, Vasilyeva misled Serdyukov into committing crimes.